MID-ARGYLL: At Lochgilphead meadows – 9 Swifts flying low in low cloud/rain, also 1 Kestrel (Jim Dickson). 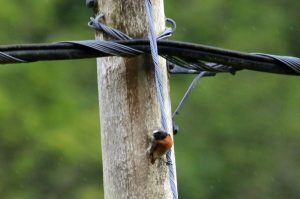 COWAL: Leif Brag reports his first ever Common Redstart in Cowal – between Glenbranter and Strachur. REDSTART – Glenbranter, Cowal 15th Jun (Leif Brag).